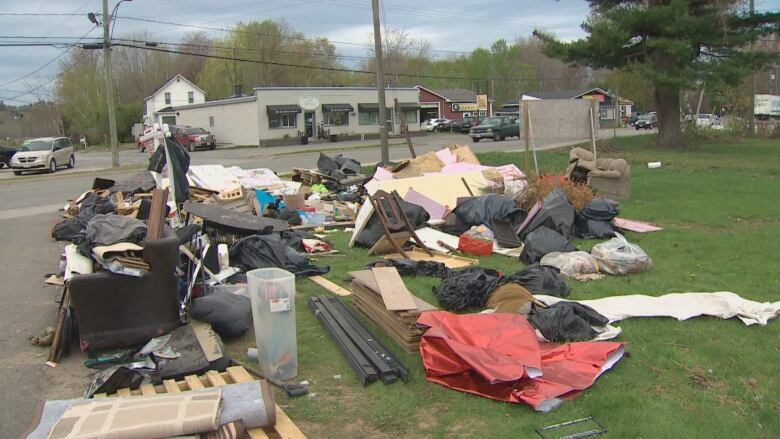 After recreational property owners heard the news that they would receive assistance to help with flood recovery, many are asking questions about how this will evolve, what they need to do next and where they find the information. 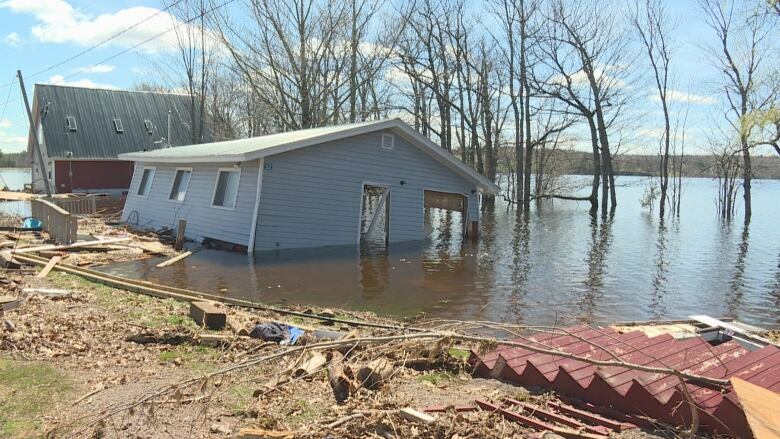 Recreational property owners learned Wednesday they will be able to receive up to $6,100 from the New Brunswick government to help clean up their property after the historic nature of this year's flooding. The claims can be made for labour or contracted cleanup cost but those costs will be adjudicated by an adjuster using national standards. But unlike the assistance being provided for primary residences, these claims do not apply to fixing any structural damage of recreational properities, only the costs of cleaning up debris and/or environmental hazards. Will 'special one-time' financial assistance for flooded cottage owners become permanent? Call 1-888-298-8555 - Service New Brunswick TeleServices line is available to receive calls between 8 a.m. and 7:30 p.m. from Monday to Friday and 9 a.m. to 1 p.m. on Saturdays and Sundays. The next step is a review of all damage assessments. Inspection teams are being sent to individual properties to evaluate any health and safety risks, while assessors will later put a dollar figure on the damages to certain properties. Provincial officials have stressed that property owners should not wait for inspectors to come by, and can start cleanup immediately. Simply keep all of receipts associated with the cleanup. Flood-damaged recreational properties may also be eligible for an adjustment of the 2018 property taxes because of the flooding. This castaway cottage floated upright and intact more than 6 kilometres across New Brunswick's largest lake. (Shane Fowler/CBC)To do this, fill in a form for an application for adjustment of tax. The application will be reviewed and if approved, an adjustment to the property assessment will be made to reflect the damages incurred. The province says the adjustment will be determined based on the current level of assessment on the the buildings. There is no adjustment of tax on unimproved properties such as vacant land. Property owners can contact their regional property assessment services office for more information about the application for adjustment of tax or by calling 1-888-762-8600. An application form is also available online. Private wells affected by the flooding can be tested for free. Water sampling kits are now available at Service New Brunswick centres. The province says property owners have to wait 10 days after water has receded from the well area before they can begin the chlorination and sampling process. There is more information about chlorinating and flushing wells on the Department of Environment and Local Government's website. That includes regular household hazardous waste that was generated by the flood. Advise staff at the gates you are disposing of flood-damaged items. Property owners will have submit plans that will include new mitigation measures or design before permits will be issued under the Watercourse and Wetland Alteration Regulation. A Grand Lake residence is a wreck after severe flooding pounded waterfront properties for several days. (Shane Fowler/CBC)Under the current Clean Water Act, permits must be obtained if any work — construction, demolition, placing or removing fill, clearing land or landscaping is being done within 30 metres of a watercourse or wetland. 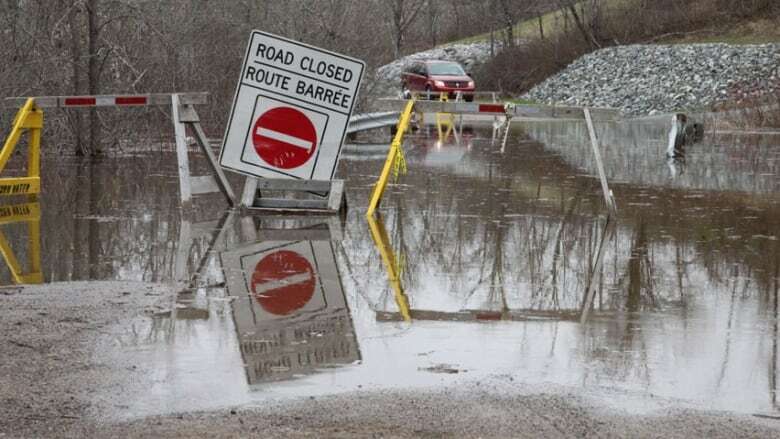 The province may add condition to the permits to reduce future damage and costs from flooding. More information on flood-proofing your property can be found here. A number of roads in low-lying areas were water-covered and impassable during the flooding. 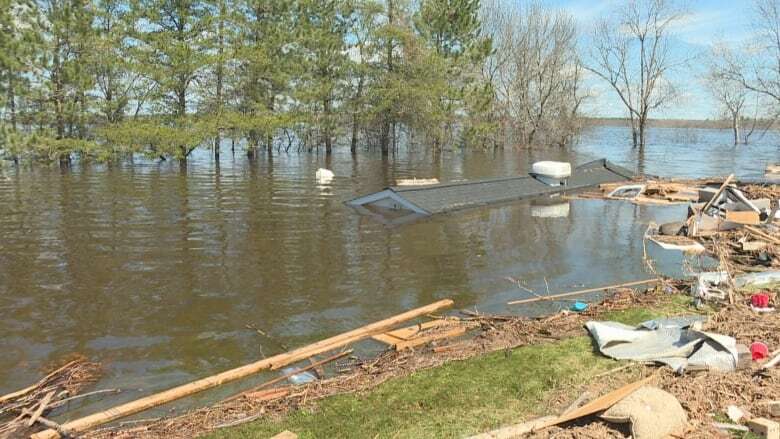 (Bobbi-Jean MacKinnon/CBC)There is a plethora of information on the province's website to help homeowners and property owners with cleanup, including advice on cleaning up properties, safety information and details on supporting recovery efforts in their local community. Cleaning kits from the Canadian Red Cross can be picked up at 120 MacDonald St. (Loch Lomond Place) in Saint John and 318 Maple St. in Fredericton from 8:30 a.m. until 7 p.m., including the weekend. The self-contained kit in a 20-litre (five-gallon) plastic container that can serve as a bucket and lid has lots of useful items including a mop, broom, squeegee, scrub brush, sponges, work gloves and latex gloves, masks, garbage bags and a bleach-based, all-purpose cleaner. Contact your insurer before cleaning a property. If sewage has backed up into their home, wear rubber boots and waterproof gloves if you are in contact with water and during cleanup. They should wash their hands with warm water and soap after removing the rubber gloves. More information about safe cleanup procedures can be found on the Public Health website.